When retired nurse Angel Sibeko wanted money to buy new sewing machines for her business, she did not go to a bank for a loan. Her stokvel savings came to the rescue. As part of a 12-member group savings scheme, Sibeko makes monthly contributions of R1 200, and the funds are kept in a dedicated bank account and distributed at the end of the year. The Witbank-based entrepreneur receives R14 000 at the end of a 12-month cycle, excluding interest. Stokvels are a popular group savings scheme in South Africa, and have evolved from being small home-based savings initiatives for the unbanked to recognised investment tools. An estimated R49bn is held by stokvels, according to the National Stokvel Association of South Africa (Nasasa). Additionally, stokvels boast an estimated 800 000 groups across the country. "I have been with different stokvels since I started working in the 1960s. 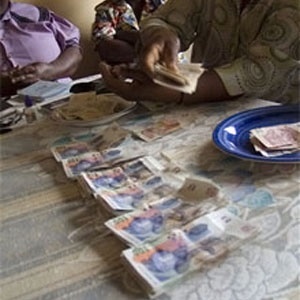 Back then we used to make very [small] contributions and rotate the payouts on a weekly basis," Sibeko says. "It is the best saving tool, whether you are saving for a short-term or long-term goal." The flexible nature of stokvels remains the main draw card, where members pool resources towards a common goal, either for Christmas groceries, designer cookware or school fees. The 64-year-old Sibeko says apart from the hassle-free service offered, she also likes the discipline and a sense of friendship that is instilled by the scheme. Her women-only group, named Sassy Girls Stokvel Club, had humble beginnings. The money was collected and not banked, only loaned to community members at a small interest fee. A member can put aside any amount if she can’t meet the standard amount of R1 200. "Many of us have done amazing things with the money from the stokvel savings," Sibeko says. "Some people save to buy cars in cash, put children through university and save for overseas holidays. The benefits are enormous, and a little money put aside every month goes a long way when those unexpected expenses come knocking," she adds. As the cost of living continues to rise, group savings for Christmas groceries are by far the most popular saving goal, where members buy food in bulk at the end of the year. There is also a new initiative dedicated to property investment, signifying a new and innovative approach for this old community-based system. After years of ignoring the booming stokvel market, major banks have taken note of the financial muscle of stokvels, and come up with accounts catering for group schemes, offering competitive interest rates. A Standard Bank Society Scheme account is open to a minimum of five people. The account requires an opening deposit of R500, and three or four members must be appointed to act as account signatories on behalf of the group. According to the Nasasa, Perm Bank, which merged with Nedbank, was the first financial institution to recognise the financial power of stokvels. "The stokvel market is regarded as a prime area of focus for the major banks in South Africa," said the association in a report released in May, titled Three Decades of Stokvel Banking. "The stokvel market represents a potential opportunity for savings, investments and for the cross-sell of insurance, transactions and saving solutions,” added the report. 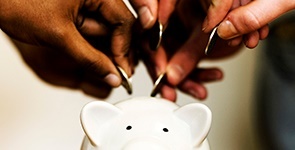 While the tough economic climate begins to bite, a group savings scheme could be utilised as one of the affordable tools to cultivate a culture of saving. Some people save to buy cars in cash, put children through university and save for overseas holidays - the benefits are enormous. South Africa’s favourite savings scheme, the stokvel, could be so much more than simply a festive season pay-out, economists believe. More South Africans are relying on informal savings vehicles such as stokvels to save money.